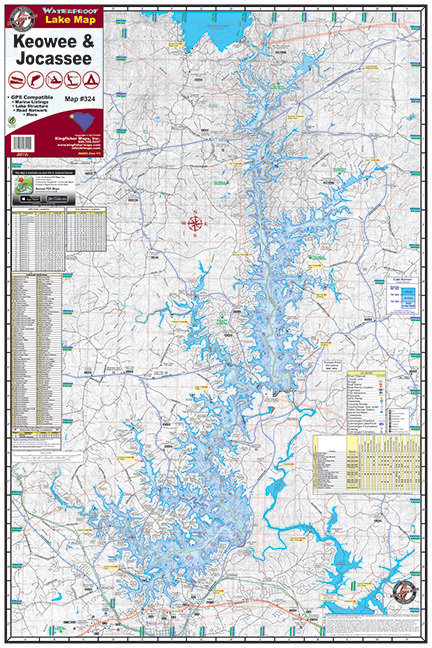 Lakes Keowee & Jocassee #324 – Kingfisher Maps, Inc.
2-sided 24″x36″. Waterproof and Tear Resistant! Located in upstate South Carolina, Lake Keowee is a 18,500 acre lake with views of the Blue Ridge Mountains. Shoreline is approximately 300 miles. 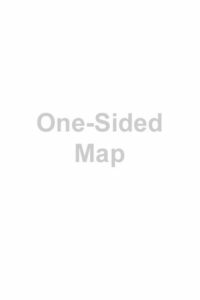 Our map contains up to date Lake Keowee subdivision listings! Lake Jocassee is home to the Jocassee Pumped Storage Hydroelectric Station built in 1973. The dam is 385 feet high and 1,750 feet long. 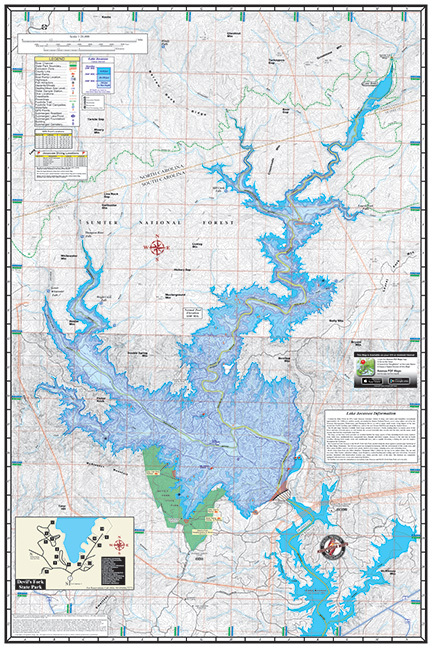 Lake Jocassee has 7,500 acres of water and 75 miles of shoreline. 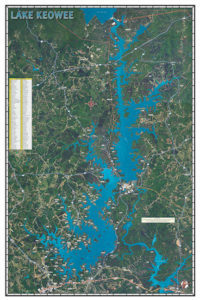 Full pond elevation at Lake Jocassee is 1,110 feet.